Allen Coage got the name “Bad News” during his days in judo – – from his opponents. 1976 Montreal Olympics: Allen Coage competed in the Heavyweight (+205 lb) class for Judo and won bronze. Allen Coage won two straight gold medals at the Pan-American Games. 1977: Allen Coage was trained by Antonio Inoki at the New Japan Pro Wrestling dojo. October 23, 1977: Allen Coage made his transition from Judo to professional wrestling. 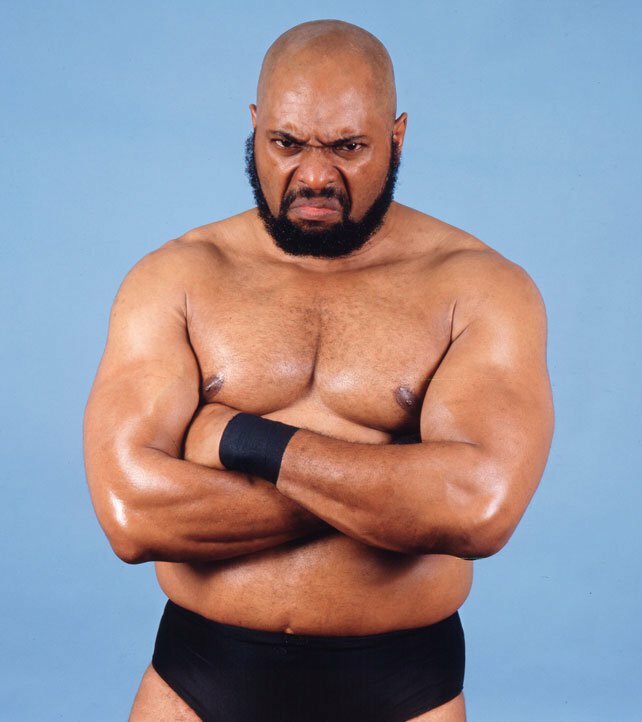 Allen Coage debuted in New Japan Pro-Wrestling, under the guidance of Antonio Inoki and Kotetsu Yamamoto. Allen Coage debuted in New Japan using the name “Buffalo Allen Coage”. 1978: Allen Coage had his first (albeit brief) stint with the WWWF and Vince McMahon Sr. The “Bad News Allen” gimmick was born and Allen got a lot of experience in Japan and the US. 1982: Bad News Allen went to Calgary, where he wrestled for Stu Hart’s Stampede Wrestling. Bad News Allen began wrestling guys like Dynmamite Kid and Owen Hart. Six months later, Bad News Allen did a tour of Australia before returning to Stampede. Allen Coage met his wife in Redwater, outside of Edmonton, after Coage missed both the babyface and heel bus. Bad News Allen signed with the WWF and was forced, for some reason, to change his name to Bad News Brown. March 27, 1988 – WrestleMania IV: Bad News Brown won a battle royal throwing Bret Hart out last, turned the Hitman into a face. July 31, 1988 – WrestleFest 1988: Bad News Brown defeated Bret “Hitman” Hart. August 28, 1989 – Summerslam: Bad News Brown defeated “Strongman” Ken Patera. October 1988 – House Show: Bad News Brown defeated Junk Yard Dog. November 24, 1988 – Survivor Series: Bad News Brown prooves that he was a “loner” by walking out on his Teammates. December 1988 – House Show: Randy “Macho Man” Savage defeated Bad News Brown to retain the WWF Heavyweight title. January 15, 1989 – Royal Rumble: Bad News Brown entered at #13 and was eliminated by Hulk Hogan. March 11, 1989 – SNME: Hulk Hogan defeated Bad News Brown. April 2, 1989 – Wrestlemania V: Bad News Brown wrestled “Hacksaw” Jim Duggan to a NO CONTEST. November 23, 1989 – Survivor Series: For the second year in a row, Bad News Brown walked out on his Teammates. January 21, 1990 – Royal Rumble: Bad News Brown entered at #9 and was eliminated by Roddy Piper. April 1, 1990 – Wrestlemania VI: “Rowdy” Roddy Piper vs Bad News Brown ended in a NO CONTEST. August 27, 1990 – Summerslam: Jake “The Snake” Roberts defeated Bad News Brown with help from the Big Bossman. Bad News Brown physically manhandled President Jack Tunney on an episode of the Brother Love Show. 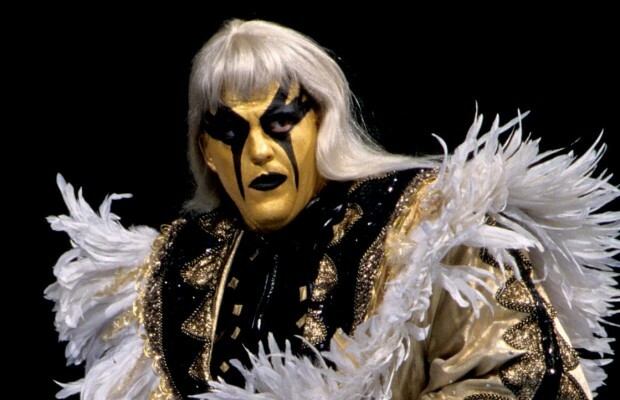 Failure to live up to promises to him by Vince McMahon, has cause trememdous amounts of “bad blood”. Bad News Allen does not cherish the time he spent in the WWF, and only did it to support his family. Allen Coage had to retired after twenty-two years in the ring due to the poor condition of his knees. Allen and Helen Coage lived in Calgary, and had nine children – three boys and six girls – and 14 grandkids. Allen Coage worked occasional spot shows for promoters like Tony Condello (Winnipeg) and Tim Flowers (Vancouver). Allen Coage said he’d eventually like to end up promoting a wrestling organization out of Calgary, Alberta. Allen Coage was working on a book about his career filled with inside wrestling stories before his death. 2005 – Rick Bogner and “Bad News” Allen Coage now run a wrestling school out of Calgary, Alberta, Canada. March 6, 2007 – Bad News Allen Coage suddenly passed away from a heart attack at 5:30 a.m. at the age of 63. May 27, 2007 – Bad News Allen Tribute Show: Helen Coage attended with some of Allen’s children and grandchildren.